A new year means a ‘new year’ post of course. I’ve already read lots of resolution, goal & list posts and I must admit that I really enjoy reading them. I find it so interesting to see how people evaluate their lives and review them to move forward in the following year. The last year was the first full year where I blogged from January to December. I’ve really loved every minute of it. When I started blogging, I originally thought that my blog would be based on sewing and travelling; however, i’ve found that my Sunday Sevens and monthly goals posts have added more of a broader lifestyle theme to the blog with sewing running through too. I’ve also enjoyed reviewing a few products here and there, and I do feel like I’ve only chosen things to review that I like rather than whatever is available out there. When I look back to the start of 2015, I feel that my sewing was reasonably basic. I’m really pleased with what I’ve learnt this year and how far my sewing has progressed. It’s not by any means ‘perfect’ and and I’m not an expert, but I feel I know & can do much more than what I could this time last year! When sewing, choose fabrics and patterns that I will wear. I made a lot of items in tight knit/polyester fabrics last year which isn’t any good for the heat in Alabama! If I do choose heavier fabrics to sew with, I must make sure that the garments are suitable for wearing in winter.ie. not low cut vest tops! Make more items using the smaller pieces of fabric in my stash. Use at least half of my longer pieces of fabric from my stash before I buy ANY more fabric! Crochet a blanket to snuggle on the sofa with. Read at least 20 books – this can include graphic novels. Try to blog twice a week for as long as possible! Also, make sure I reply to the comments that are left on my posts! 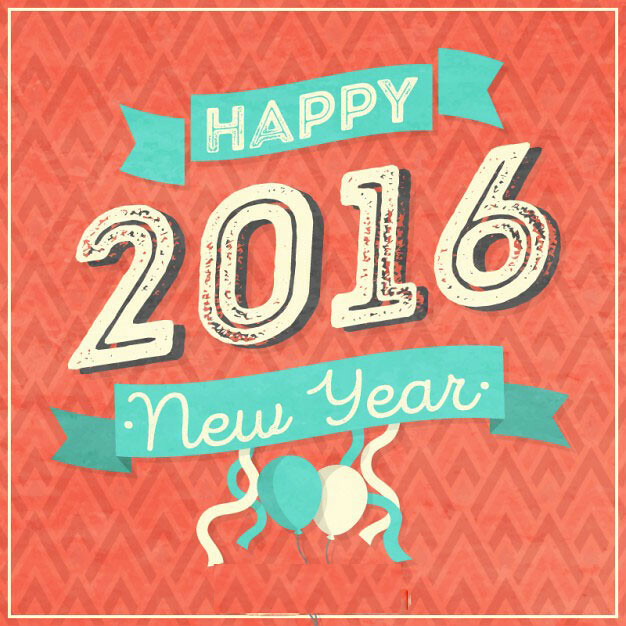 Good luck to everyone with their goals & aims for 2016! Those are great goals! How are you planning to crochet the blanket? I’ve actually started making a blanket that needs to have 100 granny squares. It’s a lot of work, but I can’t wait for it to be finished! Thank you 🙂 I want to crochet something that I do whilst watching the tv so I just thought about doing a great big circle- hopefully it won’t take too much thinking about then?! Wow never mind I looked at the pattern again and it was 56 squares! Whew! Yes, that should be really easy. You could also make a continuous granny square blanket, it takes no thought as you just make a granny square and go around and around and around. Some nice goals here, its always good to set realistic goals. 33 garments is a pretty impressive number, I need to get better at producing usable garments/ones I actually need. Thank you – realistic goals are much easier to achieve (I hope so anyway!). I wish you luck too with creating more usable garments…I just hope I can actually do it! Nice goals! And I’ve no doubt that you can accomplish them. Your Sunday Sevens have kept me blogging (and others, I’m sure) when my sewing was on hiatus, so I’m very, very happy you started it! My goals this year are varied (and I already know which I’ll have more trouble with), but sewing is a main focus. Good luck to you, Natalie! Thank you! Good luck to you too 🙂 I’m glad you’ve kept up with Sunday Sevens too; here’s to another year! You have some great goals, and 33 garments sewn is a lot! Reading is one of my goals as well, I’m going for 24 books. These look like very realistic, doable goals. I think it’s sometimes harder than you’d expect to sew things you’ll actually wear; what you like to sew and what you like to wear don’t necessarily intersect (and a lot of those poly prints are hard to resist!) I realized sometime last year that I wear mostly knits and hate to iron, yet I tend to sew with woven cotton! I resolved after that to make more knit items, and I’ve learned a lot since then. I have to second jen above–Sunday Sevens does keep you connected to your blog readers even when you aren’t sewing (or are sewing but not finishing! ), so I love it for that. Good luck with your goals! I’m glad that Sunday Sevens has kept you blogging- I hope we all get at least another year out of it! Well done for improving your skills more! It’s really satisfying to look back, isn’t it? Good luck with this year’s! It is! I never would have thought that I had made that many items! Without your Sunday Sevens I would never keep to my goal of blogging twice a week so THANK YOU! I also make sure I reply to, or at the very least acknowledge, every comment left on my blog. I think people would stop bothering otherwise, and I love to read the comments. I too love reading other peoples new year post – of course I love other posts too, but so great to see all that achievement, growth and planning in a nutshell. Good luck with all your goals for next year! Great resolutions that sound practical yet motivational. You’ve sewn so many beautiful garments over the last year, and I have been particularly impressed with how much work you have put into altering patterns and improving the fit of different garments. Looking forward to keeping up with all of your different crafting throughout 2016. Thank you! I’m hoping my pattern alterations will continue, leading to even more wearable items!